Castillo Residence — Isaman design, Inc. 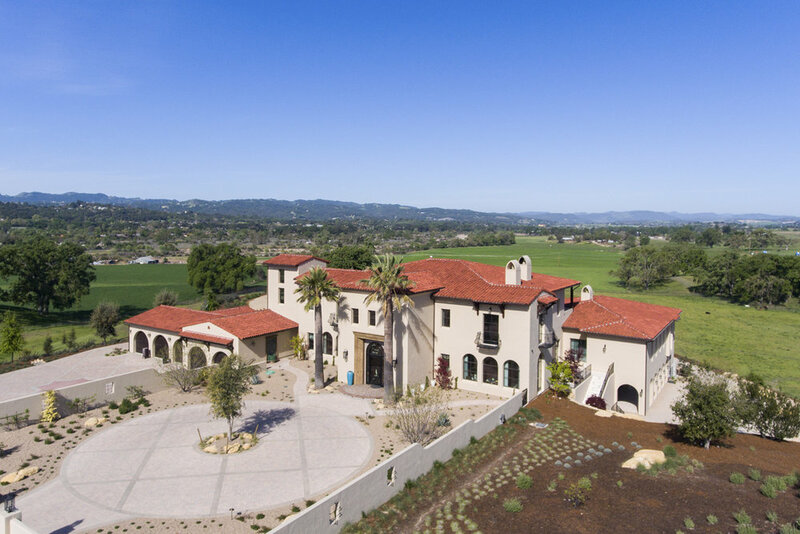 Situated in rural east Templeton is the Santa Barbara style estate that is the Castillo Residence. 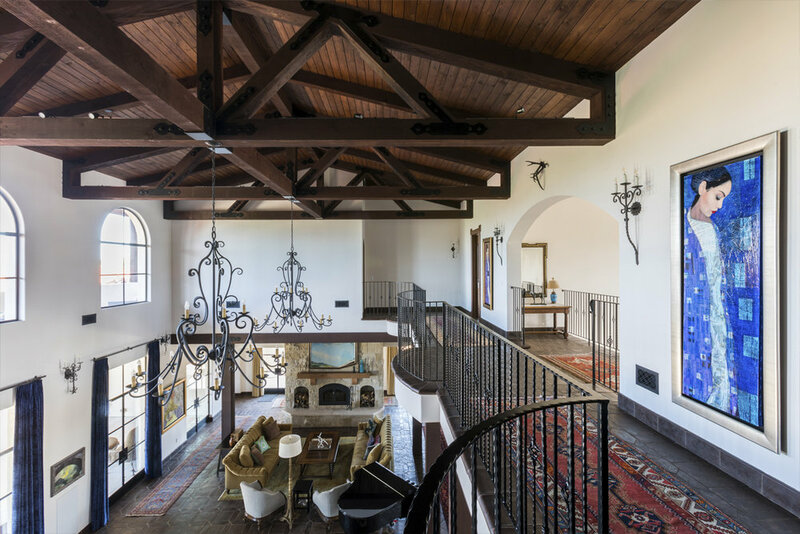 It exemplifies the classic nature of old world Spain, sporting massive timber trusses, authentic terra cotta tile flooring and pristine white washed walls. The entry to the residence is suitably grand, with a sweeping stair case up to a landing that overlooks the antique wood front door. The house boasts lofty ceilings in the great room, and a two story library complete with spiral stair case. This house was not only designed to suit its human residents but also its canine residents, and they have their own room off of the 5-car garage at the lower level. The master suite occupies a full wing of the residence, at a mere 1,700 square feet, providing space for a master sitting room, bedroom, bathroom, and sprawling walk in closets with laundry facilities. There are a plethora of outdoor living spaces, including a full outdoor kitchen, reflecting pool water feature and massive covered porches overlooking the Templeton countryside.